Starting with Bugsee iOS SDK 1.20.0 an additional step is required to clean the extra data before the App Store submission. Learn more here. Add the following line to your project's Podfile. Run the following commands to install the Pod. Add the following line to your project's Cartfile. Run the following commands to update the library. The result must look similar to the one shown below. If you have additional frameworks managed by Carthage your list of input and output files may vary. If you want to build and enable Bugsee only in debug builds, there are few things you need to do. It makes sense in some cases to enable Bugsee on builds distributed through Testflight but keep it disabled on the ones distributed through iTunes. 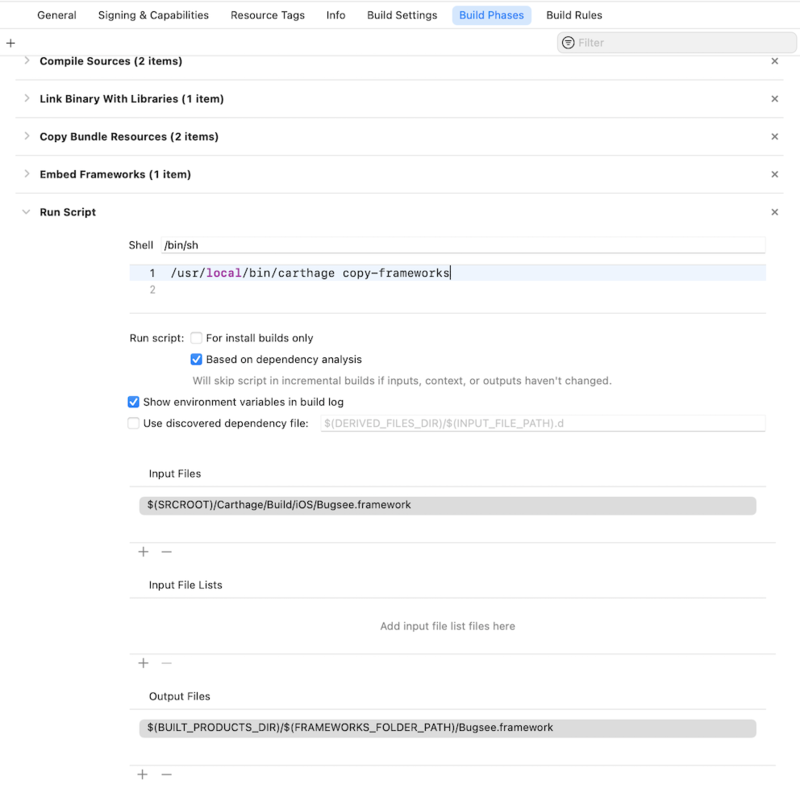 There is an easy way to detect a TestFlight build at runtime. 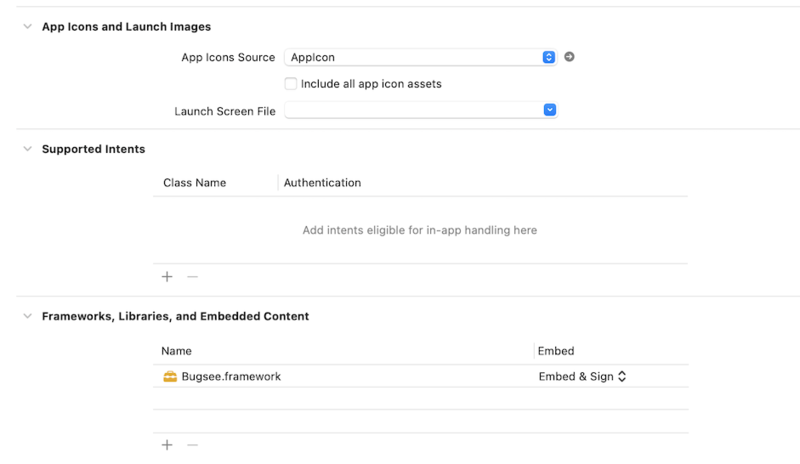 You might come up with more complex use case where Bugsee is enabled both for TestFlight and for Release but with different configuration options, the example below shows a simple case of completely disabling it in the production build. // We are in TestFlight, enable Bugsee! let isRunningTestFlightBeta = NSBundle.mainBundle().appStoreReceiptURL?.lastPathComponent == "sandboxReceipt"
echo "Error: BugseeClean script not found."